﻿ Sand Hollow Speakeasy - Ohio. Find It Here. Take a step back in time to the prohibition era. Our authentic style speakeasy is located in downtown Newark at 57 S. 3rd St. You will need a password to gain entry!Enjoy our hand-crafted wines made with 100% Old World-style juices from Italy, Chile and America. Our Wines range from full body to sweet, all with a bountiful bouquet and unrivaled New World-style drink-ability.Our special 5 cheese flat bread pizzas with assorted toppings, Capone warm nuts and blind pig nachos a gangster would kill for! 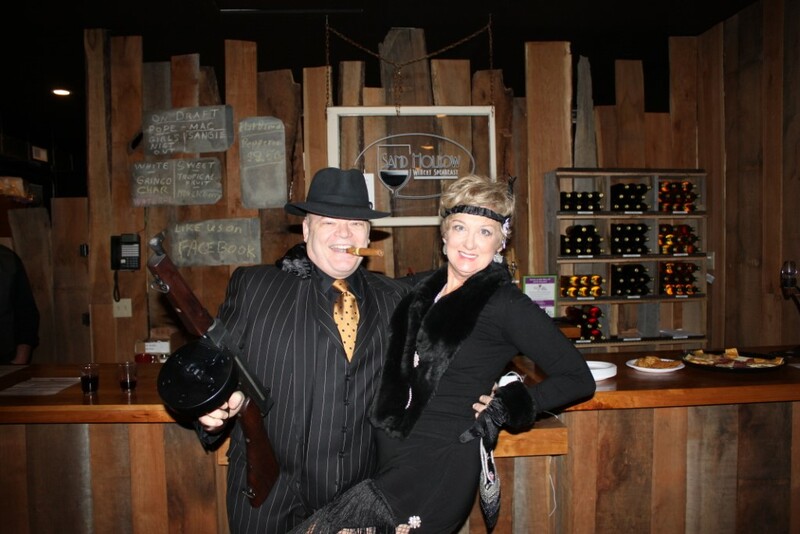 Enjoy this prohibition era experience with history, drink, food and costumes. Password required!